*Michael Jackson’s 2,700-acre Neverland Ranch could be put up for sale, according to the investment company that owns a controlling interest in the estate, reports Forbes.com. According to sources familiar with the matter, billionaire Tom Barrack’s Colony Capital is preparing to put the Los Olivos, Calif. property on the market. The firm became Neverland’s managing partner after Barrack struck a deal with Jackson in late 2007 to take over the $23 million note held by private equity fund Fortress. The property, located in the rolling hills and cattle ranches of Santa Barbara County, California, was Jackson’s refuge from the world from 1988 until he essentially abandoned it after he was acquitted on child molestation charges in 2005. Barrack agreed to put up a reported $35 million to pay the mortgage. The deal gave Barrack’s Colony Capital control of the property. Although the zoo and amusement park rides, including a Ferris wheel and a railroad, are long gone, Neverland remains an important pilgrimage for diehard Jackson fans from around the world. A constant flow of flowers, cards and gifts are left at the closed gate. Tom Barrack’s Colony Capital got a major stake in property when it bailed Jackson out of financial trouble in 2008, a year before the singer died while preparing for a comeback concert tour. Barrack “is considering” selling the property, but it has not yet been listed for sale, according to Owen Blicksilver, a rep for Colony Capital speaking to CNN.com. Jackson’s estate still owns a minority interest in Neverland, but there is no indication from its executors that they are considering buying out Colony Capital’s stake to preserve it. 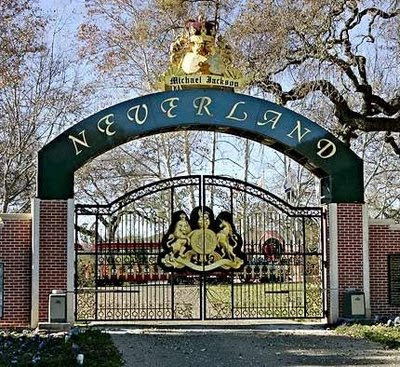 “We are saddened at the prospect of the sale of Neverland which, under the agreement negotiated during Michael’s lifetime, Colony has the right to sell,” the Jackson estate said in a written statement Thursday. The estate’s statement said it would “maintain Michael’s family home in Encino, including its iconic recording studio there,” as part of his legacy. It also pointed to other legacy projects such as Cirque du Soleil’s Michael Jackson ONE show in Las Vegas. While Jackson vowed in his last years to never return to Neverland, some of his family members pushed for his burial there after his sudden death on June 25, 2009. He was finally entombed at Forest Lawn in Glendale, California. Colony Capital has paid the salaries of the small staff that maintains Neverland, including the security needed to keep the curious out. The property is currently appraised at around $30 million.